Do the elephants of Thailand, India, China and Cambodia speak the same language? Watch them commune in the Elephants of Asia exhibit at the LA Zoo—and gain an appreciation for the perils elephants face in the wild today. 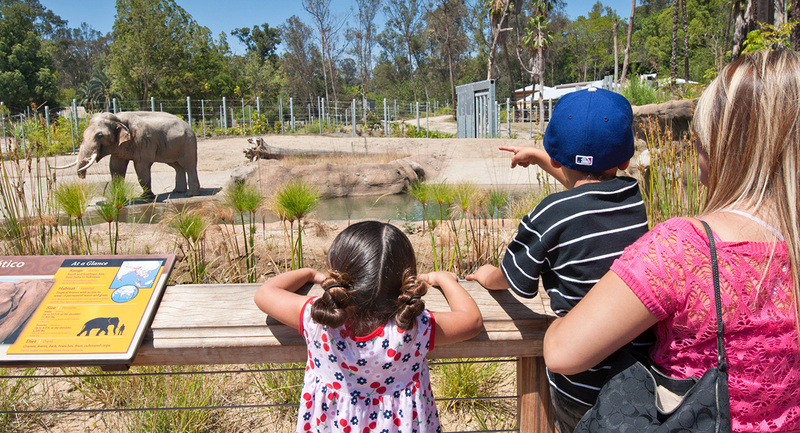 The four elephants have 3.6 acres of habitat covered in 2.5 feet of sand with pools, waterfalls, stands of palm trees and varied terrain and hills that offer plenty of opportunities for exercise as well as physical and mental enrichment. Four interconnected elephant yards are oriented around a Thai-themed barn (with heated floor!) that the elephants can choose to sleep in at night. Keepers place food in various locations throughout the habitat to encourage the elephants to forage as they would in the wild. 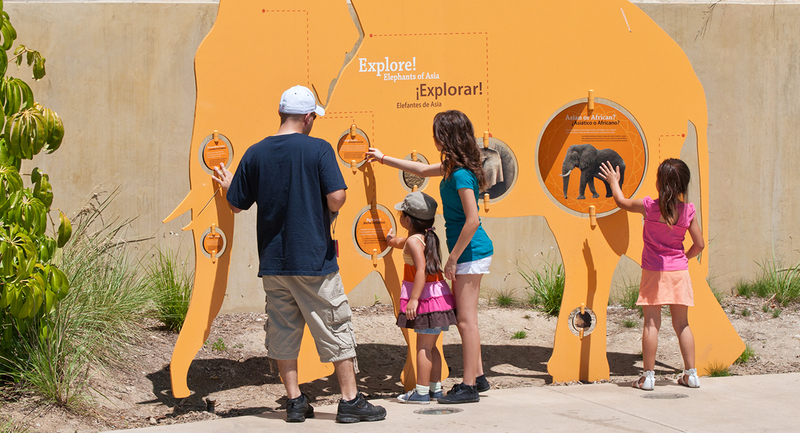 Elephant Plaza gateway features life-size metal elephant statues that introduce guests to the natural history of Asian elephants and how they’re different form African elephants. 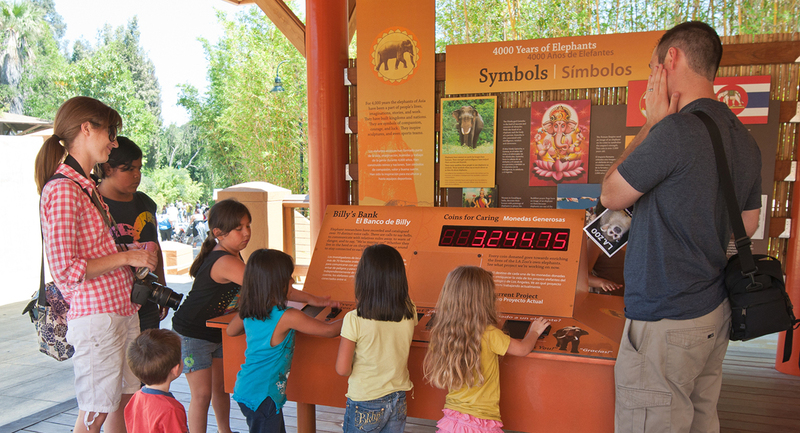 The Thai Pavilion educates visitors about the working and the unemployed elephants of Thailand as visitors walk through a beautiful Thai-inspired viewing shelter. The India Plaza focuses on the impact that fractured forests have on wild elephant populations and features a waterfall that elephants can use to shower themselves. Guests journey to the Cardamom Mountains in the Cambodian Pavilion. 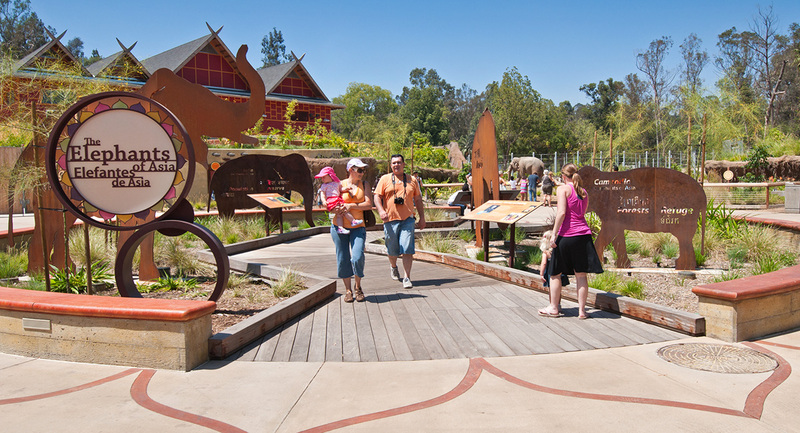 It offers sweeping views of the elephant habitat and a view of mountains and forests of Griffith Park in the background. 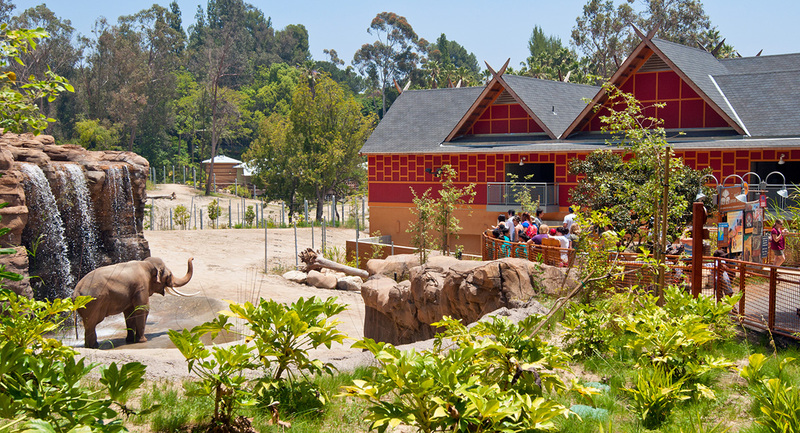 And in the China exhibit, visitors view the elephants from a boardwalk over a marsh with adjacent habitats for the sarus crane, world’s tallest flying bird, and the Chinese water deer, a small antler-less deer that has long tusks stemming from the top of its jaw.